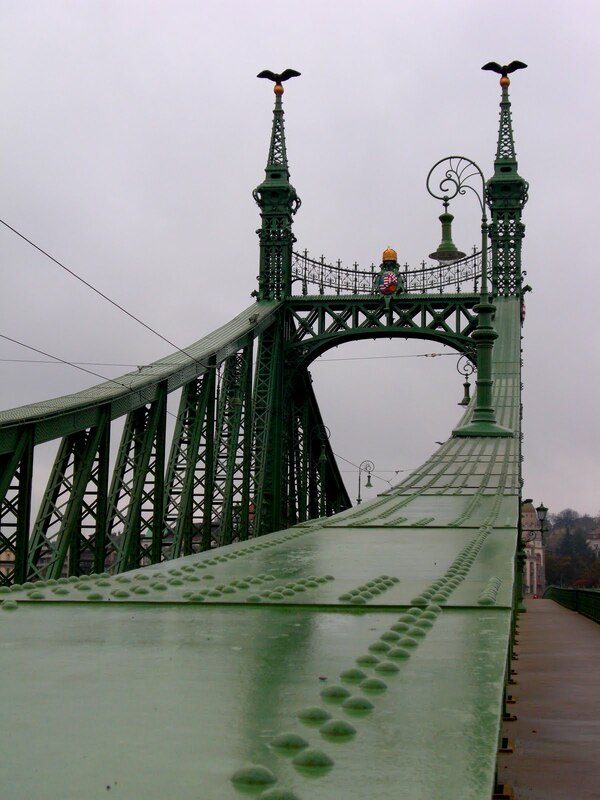 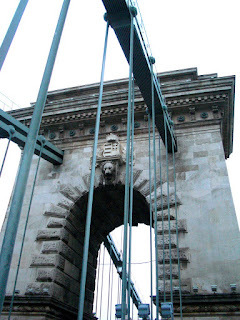 At top, the Chain Bridge, built 1839-49, first to span the Danube from Buda to Pest. At bottom, the Liberty Bridge, 1894-99. Both are reconstructions, the originals having been destroyed by the Nazis as they departed Budapest in 1945.